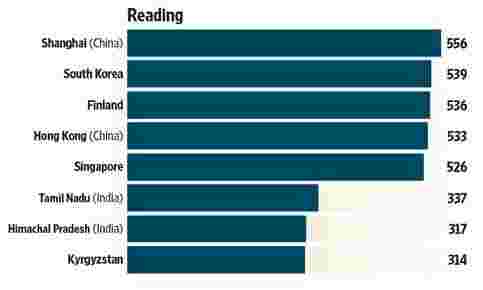 Shanghai tops the PISA ranking in all three parameters—overall reading, mathematics and scientific literacy. 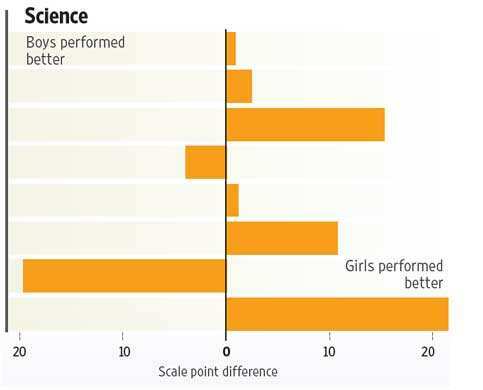 A snapshot of abilities can be gained by examining the mean performance of 15-year-old students. 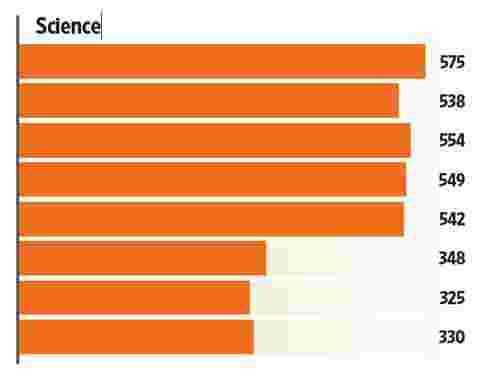 The tables list the mean figures. 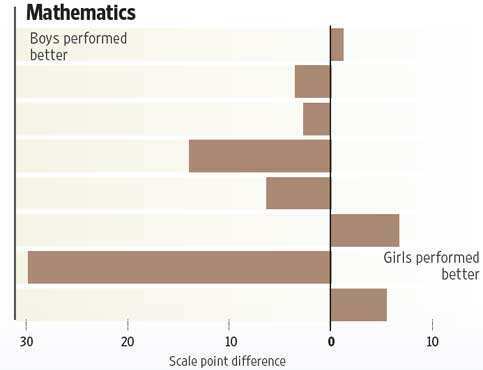 Girls significantly outperformed boys in overall reading proficiency, on average, in all countries. 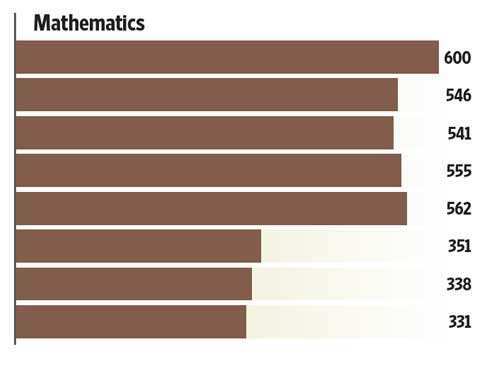 But in mathematics and science, the results were a mixed bag. 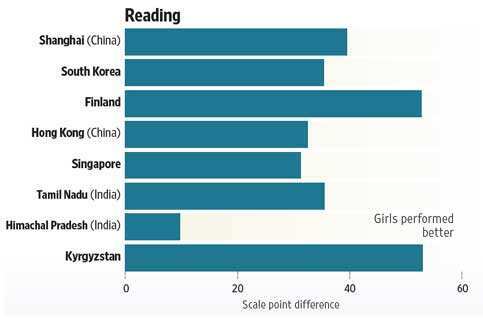 In India, Himachal Pradesh had a relatively low gender difference favouring girls in reading—a 10-point score.